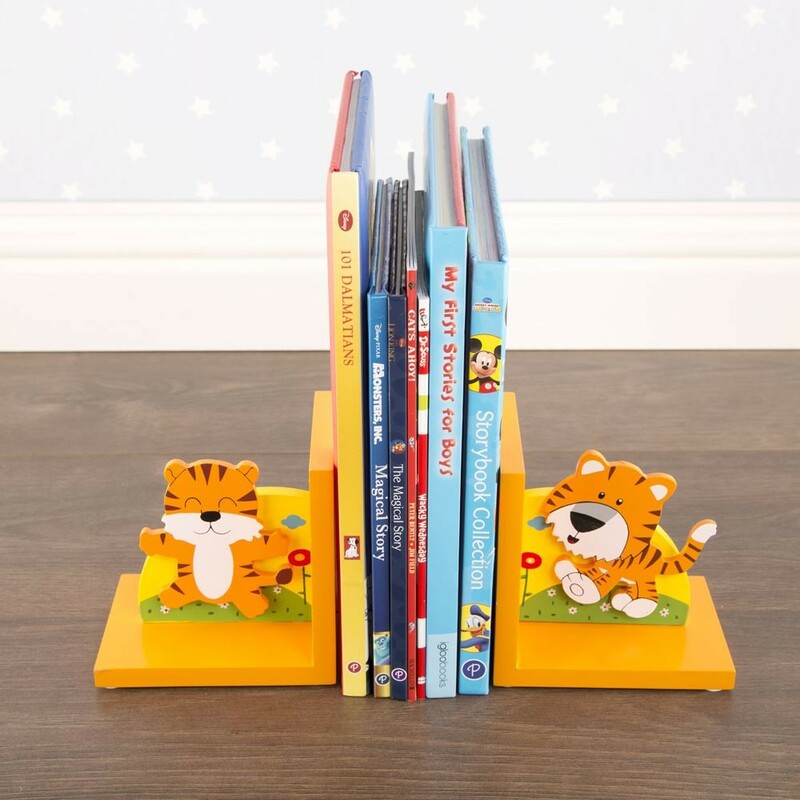 Your child's books will stand proud with this set of fun colourful tiger design bookends either side. 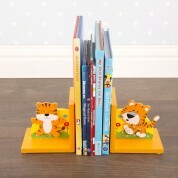 The tiger bookends are extra special because the tiger stands out from the bookend as it is 3D. 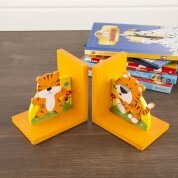 These bookends will bring any child's book collection to life! 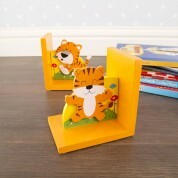 They are made from wood and painted orange and black to tie in with any childs bedroom. 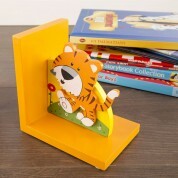 Dimensions: Each bookend measures approx: 13cm x 12cm x 9cm, weigh approx 680g.